A little change in daily routine, Morning walk, 15 minutes of exercise, Meditation and by avoiding oily and spicy foods we can remain fit and healthy for long time, said Dr. Zora Singh, Chancellor, Desh Bhagat University. He was inaugurating the medical camp being held at Desh Bhagat Hospital. 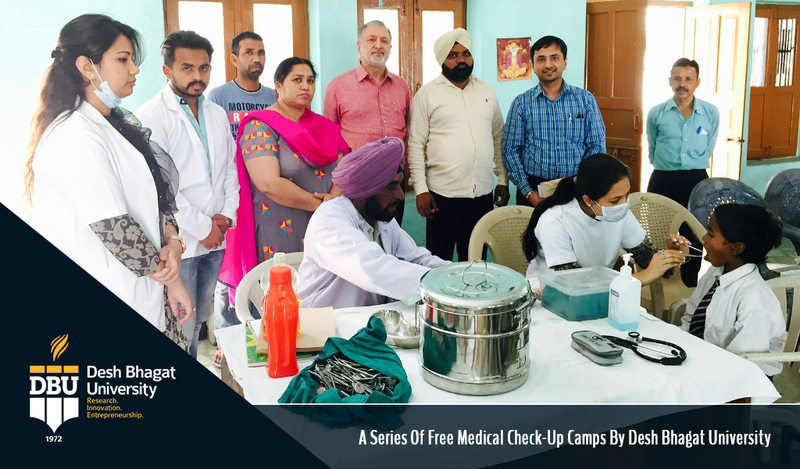 He informed that Desh Bhagat University has started a series of free medical camps to make people aware about health and fitness. 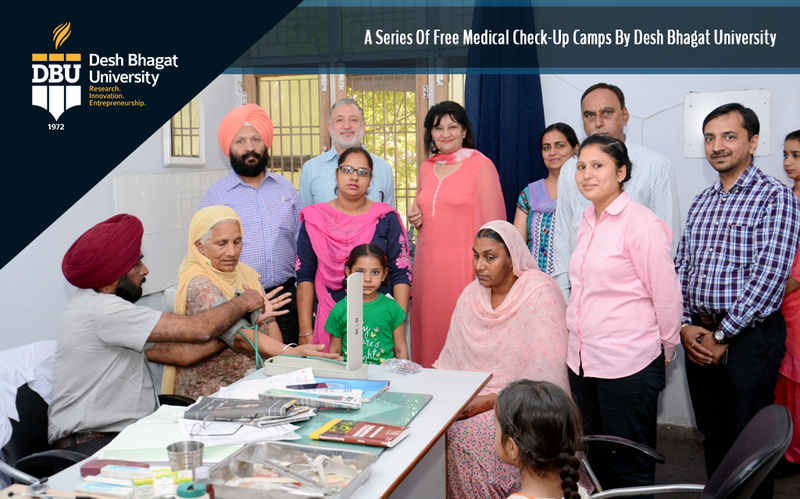 The Medical Teams of Desh Bhagat Hospital and Desh Bhagat Dental College are jointly arranging these camps, he added. While giving more details, Dr. Kulbhushan disclosed that during this camp team of doctors consisting of Dr. Baljit Singh (CMO) Dr. Gulzar Singh (SMO), Dr. Nishant Paika (Medical Officer) , Team of Dental Doctors Dr. Kamal, Dr. Vikram, Dr. Sukhpreet , Dr. Rupinder, Dr. Aradhana along with the team of Physiotherapists Parvinder Kaur, Hitesh and Anna examined more than 200 patients. He also informed that Earlier, a camp was arranged at village Khaniyan where 110 patients were examined. 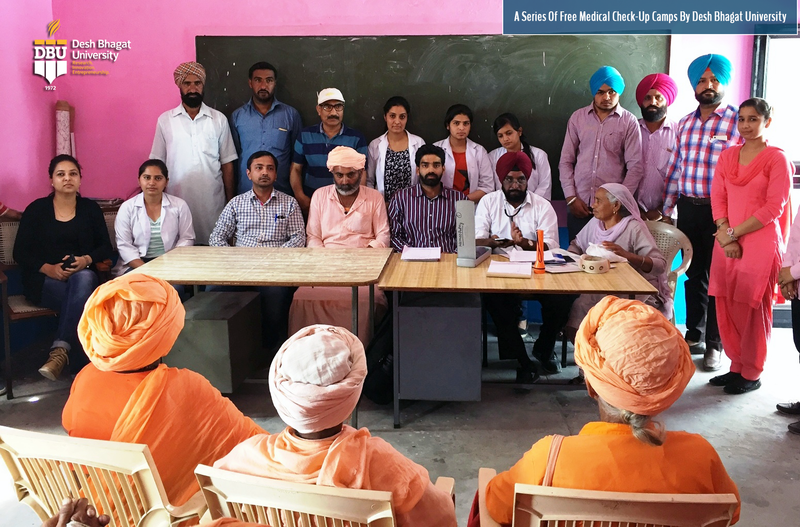 Whereas, at village Rajgarh Channa 150 patients were examined and given necessary medical assistance. Medicines were provided free of cost and some tests were also done free of cost during these camps. The medical teams also advised the people about proper eating habits, avoid eating unripe and unhygienic fruits and also keep away from junk food. University Pro-Chancellor Dr. Tajinder Kaur appreciated the doctors for their services and appealed to the people to get maximum advantage from the services being provided by Desh Bhagat Hospital and Desh Bhagt Dental College. such Medical Camps organized from time to time . 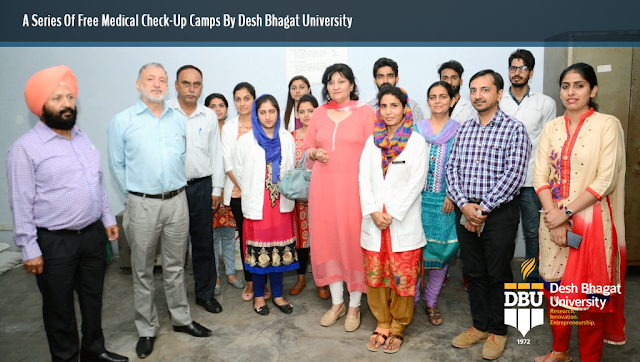 Principal Dr. Jatinder Tyagi said that the Patients were highly pleased and contented with the treatment and facilities provided by Desh Bhagat University during the medical camp.